Eucharistic Adoration is adoring or honoring the Eucharistic Presence of Christ. In a deeper sense, it involves “the contemplation of the Mystery of Christ truly present before us”. During Eucharistic Adoration, we “watch and wait”, we remain “silent” in His Presence and open ourselves to His Graces which flow from the Eucharist. (a) The whole Christ is really, truly, and substantially present in the Holy Eucharist. 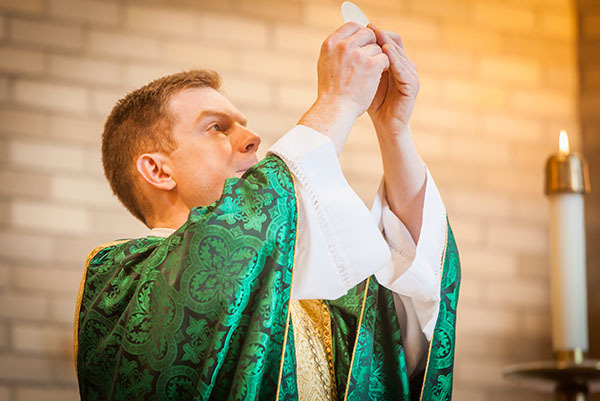 We use the words “really, truly, and substantially” to describe Christ’s presence in the Holy Eucharist in order to distinguish Our Lord’s teaching from that of mere men who falsely teach that the Holy Eucharist is only a sign or figure of Christ, or that He is present only by His power. (b) All Christians, with but few minor exceptions, held the true doctrine of the Real Presence from the time of Christ until the Protestant Revolution in the sixteenth century. To learn more about the Eucharist, check out The Catechism of the Catholic Church.